More than 60 high-profile business, labour and environmental groups say Canada should not back away from plans to bring in a countrywide price on carbon. They've written a letter to Prime Minister Justin Trudeau and the premiers leading up to their crucial meeting next month to finalize the blueprint for a national climate strategy. "We applaud your initiative in developing the Pan-Canadian Framework for Clean Growth and Climate Change," said the letter that urges Canada's leaders to stay on course. "Putting a price on carbon, to reflect the real environmental costs, is the most cost-effective way to reduce emissions, stimulate innovation and drive energy efficiency." "Co-ordinated Canada-wide carbon pricing, rising predictably over time, can do much of the heavy lifting towards meeting our climate targets," said the letter. The letter is signed by a long list of companies and associations that represent industries that could be affected by a carbon price. They include some oil and gas companies, as well as mining, cement, aluminum, forestry and manufacturing firms, along with banks and insurance companies. Together they represent 15 per cent of Canada's GDP with $300 billion in sales and over one million employees. The initiative came from Smart Prosperity, an Ottawa think-tank focused on solutions for a clean economy. 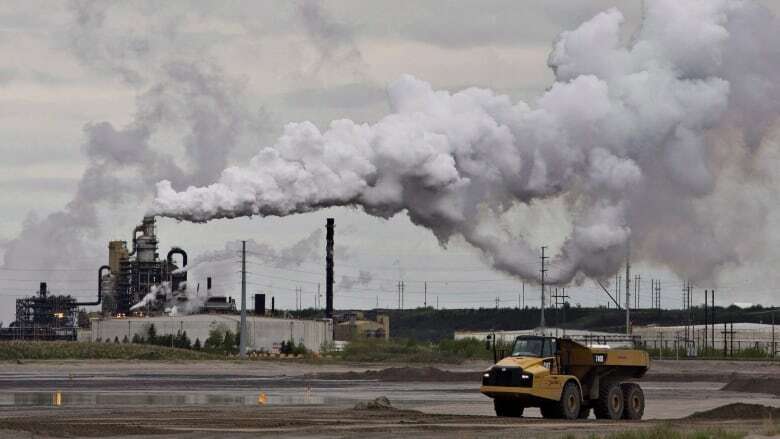 The idea was to give some momentum to the federal-provincial meeting where there is likely to be a lot of yelling behind closed doors over how to move forward to cut greenhouse gas emissions and grow the economy at the same time. "It's vital to hear from business leaders that a strong climate policy can also help the economy," said Smart Prosperity co-chair Stewart Elgie. Those leaders include Pierre Gratton, president of the Mining Association of Canada, which represents 39 mining companies as well as several oilsands companies including Suncor, Shell and Syncrude. "We think it's the best way to send a market signal to reduce emissions," said Gratton in an interview with CBC News. "This is something the industry believes. It's a generally held view that is the best way forward to fight climate change." The federal plan to gradually phase in a $50 a tonne carbon price by 2022 is facing some strong political opposition, which only got stronger when Donald Trump was elected U.S. president. Saskatchewan Premier Brad Wall has been the most outspoken opponent to plans for a carbon price, arguing Canadian businesses won't be able to compete with U.S. companies that do not have to put a price on carbon. "We will continue to strongly oppose any attempt to impose a federal carbon tax on Saskatchewan and will not support any agreement at the December meeting unless the proposed federal carbon tax is withdrawn," said Wall in a statement Monday. Interim Conservative Leader Rona Ambrose has called sticking with a price on carbon "complete insanity" now that Trump is heading to the White House. But Lorraine Mitchelmore doesn't agree with that. She's a former president of Shell Canada and now serves as co-chair of Smart Prosperity. "Whenever your largest trading partner does something different you pay attention, but that doesn't mean you change your long-term goals. You adjust as you move forward," she said. Mitchelmore said a carbon price can work well if it's done along with policies that help companies stay competitive as they adjust to paying a price for pollution. She said that's why the letter to the prime minister and premiers also urges them to spend money on research to help companies get a leg up on their competitors and to bring in policies that provide a predictable environment for investors. "You can't just have a knee jerk reaction," said Mitchelmore. "You have to think about the long term. This is a multi-decade business, and so how do you position it to compete today and tomorrow?" In fact, some business people are hoping the first ministers emerge next month with a commitment to get on with it quickly. "We think definitely the challenge is not to slow down this process but to accelerate the transition," said Jean Simard, president of the Aluminum Association of Canada. His industry is a leader in cutting its emissions, reducing them by 66 per cent from 1990 levels. Simard said other countries around the world are moving toward low-carbon economies and Canadian companies could have a real advantage if this country does it too. "There is a real value for Canada to be on top of this agenda internationally," said Simard in an interview with CBC. "The 'made in Canada' brand has a lot of potential if we do things the right way. So we invite the premiers and the government of Canada to have a coherent approach to this policy-making exercise that is going on right now."